When using WordPress your content is usually written as either a post or a page, and is then published onto the live site. In the control panel you will see the options Posts and Pages on the sidebar. As a general rule, pages are unchanging and most websites have a few pages, such as the Home page, an About page, a Blog page, and so forth. Usually the Blog page is used to display all the posts. Posts are generally news items and these are generally what you write when you are creating new content. A post can be a film review, a portfolio item, a press release, etc. When you write a post you can assign it to a category, say ‘News’ or ‘Reviews’, and posts can then be grouped by those categories if you want. This makes it easier for visitors to your site to find the right area. Tags are a bit like categories but are usually used to create links between posts that share a common theme or other trait. WordPress has a pretty good text editor so you can write your content straight onto the site. There are advantages to doing this – one is that WordPress can save revisions so you can go back to an earlier draft if you need to. You have the option of writing in the Visual editor or the Text editor. The visual editor will do the formatting for you, so it’s probably the best one to use. You can pick different styles of text from the dropdown, so a subheading could be in ‘Heading 2’ for example. You can also insert pictures by using the ‘Add Media’ button. It’s best not to add videos using this button, because videos can be uploaded to somewhere like YouTube or Vimeo to save time and resources. When you are happy with your content you can press ‘Publish’ to make it visible to everyone. You can continue to edit the post if you need to, and then you press ‘Update’ to apply your changes. Posts and pages have the option to have comments enabled on them. You can always turn this off on a case-by-case basis if you don’t want comments on a particular section of the website. If you can’t see the option to tick the ‘Allow Comments’ box then you may need to first go to ‘Screen Options’ and tick the ‘Discussion’ box. You can do the same for Trackbacks and Pingbacks as well, but they are generally less of a concern. Comments will often get held for moderation – this means that you get to approve or decline each comment (and trackback/pingback) if you want to. The most obvious spam comments are blocked by Askimet so won’t bother you, while the most trusted comments are often automatically allowed on the site (although you can moderate them later if you like). Comments that are iffy will often be brought to your attention, a common issue is a comment that at first looks like a compliment, but closer inspection will reveal that the poster’s name includes a spam link, these comments should be declined. You can insert images with the Add Media button (and sometimes with the ‘Featured Image’ button if your theme supports it). This brings up the media manager where you can drag and drop the image you want onto the screen. It is usually a good idea to check the size of the image you are uploading first and to try to use a large, high quality image. WordPress can resize the image smaller if you need. WordPress will give you the option to let visitors click the image to be taken to the full size image (as happens on this page) but if you don’t want this then change the option ‘link to’ to ‘none’. You can publish a post or page right away, or you can set when you want it to publish automatically. You can also save a post as a draft, or view previous revisions. You can restore any autosave of a post, or any previous drafts, so if you are worried about having deleted a post, check the revisions first. 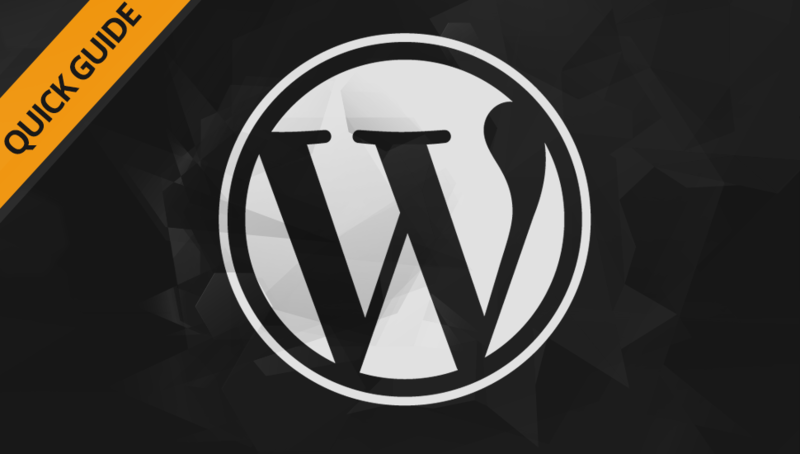 A quick Introduction to the basics of Wordpress: writing posts, uploading images, moderating comments and publishing.